It’s a legal requirement to have car insurance for driving on public roads, so it’s a must for all motorists. With many cash-strapped car owners searching for the cheapest policy out there – there’s often an emphasis on price rather than protection. It’s not always simply enough to purchase a policy, it’s important to understand what it does and doesn’t cover and feel confident you’ll be fully protected. There are three different types of cover; third party only, third party fire and theft and fully comprehensive cover. Third party only is the minimum you need to have by law and would help cover damage you caused to another person or their vehicle. However, it wouldn’t cover damage to your own vehicle and wouldn’t pay out if your car gets stolen. This is why it’ll typically be the cheapest. Remember, unless you have a fully comprehensive policy you won’t be covered for any damage caused to your own vehicle if you’re found to be at fault. If you have a pricey ride, this is well worth considering. Some policies, typically the cheaper ones, can carry a large excess. This is the amount you’d have to pay out of your own pocket in the event of a claim. For example, if the excess is £500, this means you’d have to fork out the first £500 of any claim before the insurer would pay anything. You may be able to add a voluntary excess to reduce the cost of your premium. Remember that this would have to be paid in addition to any compulsory excess attached to the policy. Don’t cut costs now and be surprised to find yourself out-of-pocket later. If you cause any kind of collision and are caught with an illegal level of alcohol or drugs in your system – it goes without saying that your insurance will not cover you. Irresponsible behaviour whilst driving could see your policy invalidated. 4. Who’s behind the wheel? Don’t assume that your comprehensive policy will cover you for driving other people’s vehicles. This is not always the case. 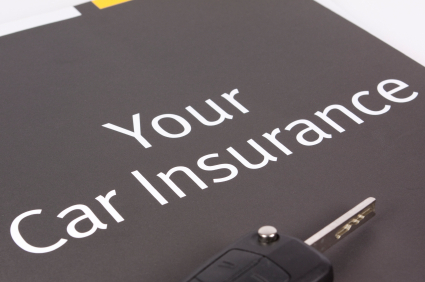 Even if your policy does offer some cover for driving third party cars – this is likely to be the absolute minimum amount of cover rather than fully comprehensive protection. Always speak to your provider before driving another vehicle or allowing someone else behind the wheel of your car. They’ll be able to advise on the best course of action to ensure you’re still protected. Always read through your full policy wording and note the terms and conditions of your cover. On application, you’ll have told your insurer certain things that will affect your ability to make a claim. For example, if you’ve told your insurer that your vehicle is always parked off road or in a secure locked garage overnight – it’s important to adhere to this. If your car is stolen and these conditions haven’t been met– your insurer may reject your claim. Similarly, if you start using your car for business purposes – it’s important to inform your car insurance provider. If your vehicle is regularly used to transport goods, clients or is used for any other work-related purposes, your regular cover may not be enough. If you’re planning on taking your car out of the country, don’t assume that you’ll be automatically covered. Although some policies do include driving in Europe as standard, this isn’t the case for most. Check with your insurer before taking your car abroad. Make sure your vehicle will be covered for the full length of your trip and will have the same level of protection you receive in the UK. Also take note of any emergency contact numbers you may need while you’re away. Whether you want assistance in finding the right policy or even handling a claim speak to one of our experts on 0203 014 9300, or email ask@policyexpert.co.uk.